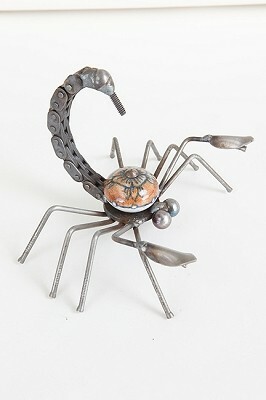 Scorpion Table Top This scorpion has a colorful cabinet knob body, ball bearing eyes, and a bike chain tail. Cabinet knobs may vary slightly. 4.5" x 6.5"x 4.5"